The Knee Cap is one of our strongest and most durable bones. This Knee Cap is surrounded with meat and has a hint of liquid smoke to hit the spot! 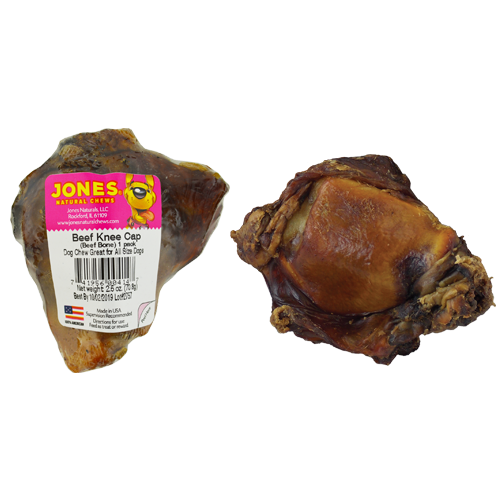 The Knee Cap does not contain any artificial ingredients and is a natural USA beef Knee Cap from the hind leg. All Jones’ products are 100% grown and made in the USA. The Knee Cap is great for all size dogs.